People do crazy things with beer: they put strange things in it, consume nothing but it, put it in things where it normally isn't, and regularly drink far too much of it in too short of time – with varied results. Ale-induced anecdotals captures the weird and wacky from the world of beer and distills it for the Real Man Travels faithful. Let’s play a good ol’ game of hide the beer. 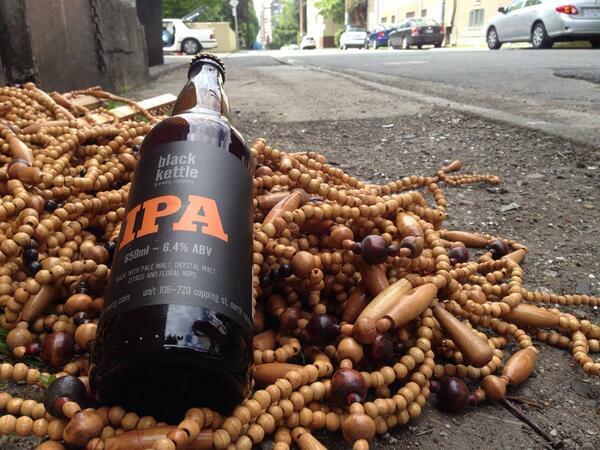 Some dude (or dudette) is going around hiding beer in Vancouver and tweeting about it. This is on the heels of other similar accounts that have hidden money or “other intoxicants.” I hereby grant this individual the title: Sudsy Games Master of the Thirsty Games! Some sophisticated Spaniards realized that brewing waste is made up of the same chemical components found in bone, like, calcium and stuff. So they decided to go ahead and make bones out of it (well, kind of). Read more. Check out that fancy picture of beer bone goodness. The good folks that bring you Sapporo (actually in Japan, not Guelph, ON) discovered a yeast that appears on bees as they do bee stuff. Evidently Sapporo is a huge supporter of bees and bee culture in Japan. They say the yeast imparts a unique cinnamon flavour and they've managed to harvest enough of the stuff to make beer. Joke for this section: “where does a bee hang out it Japan? At the clubzzzzzzz.” Boom! Canadians do crazy stuff with beer too! Ben Johnson, of the exceptional Ben’s Beer Blog, teamed up with Great Lakes Brewery to create Dill Hole IPA. Who needs a bag of chips with your beer when you can have it all-in-one? Convenience. Value. Taste. Fierce. And to wrap things up, this guy.